Osteogenic sarcoma, which is also widely referred to as osteosarcoma, is a type of bone cancer that most commonly affects teenagers. The highly age-related distribution of the disease is reflective of the fact that this kind of tumor develops from osteoblasts, a cell type particularly active during adolescence, when bones grow rapidly. Similarly, osteogenic sarcoma occurs significantly more often in boys than girls due to the generally greater growth experienced by males. Other than age and gender, most individuals that are diagnosed with osteogenic sarcoma have no known predisposing risk factors for the cancer. In some instances, however, the presence of a gene implicated in the development of hereditary retinoblastoma, a tumor of the eye, has been linked to the onset of osteogenic sarcoma. 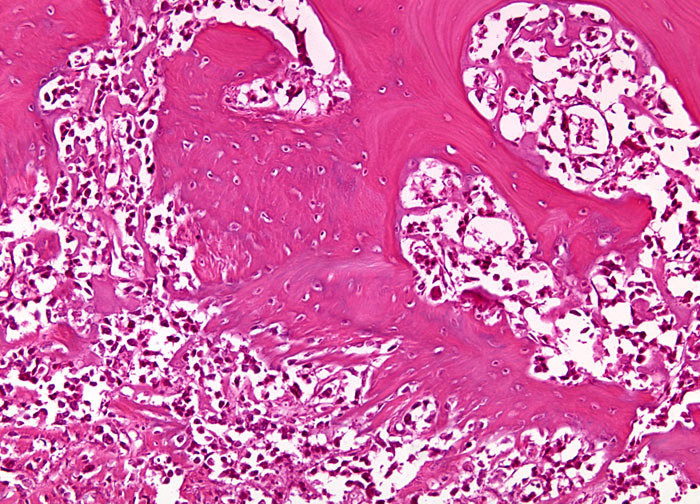 Also, when the bone cancer occurs in adults, the condition is frequently associated with Paget’s disease, a chronic condition characterized by abnormal bone destruction and regrowth.